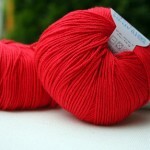 A couple week ago I blogged about Overlynd. Melissa released it earlier this week! I love that cable and the fold over cowl/collar is such a great feature. I shopped my stash but didn’t have anything that worked, so I headed to my LYS on Thursday and got Berroco Vintage in Aster. The color is a bit of a departure for me and I’m loving knitting with it. Plus, the lighter shade means I can knit it even at the pub or while watching TV with dimmed lights. I don’t love the look of purls in a solid shade. In subtle handdyeds it’s gorgeous but it looks a little meh to me in a solid. I’m lazy and I knit faster than I purl. I’ve never hidden that I don’t like make 1’s and prefer kfb or lifted increases but given the decorative look of the raglans I wanted to try the M1’s. I’m so glad I did – I love the way they’re working up. The raglan is so pretty and the other increases would have had a different look. 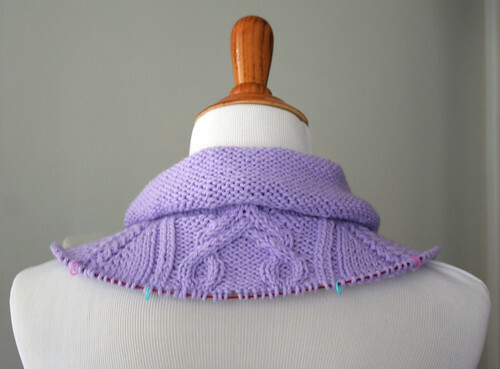 Fun color, gorgeous cables and top down knitting. This may have just gotten my mojo back. sweaters, WIPs - 2014 cables, overlynd, pullover. permalink. You have been starting a lot of sweaters recently! 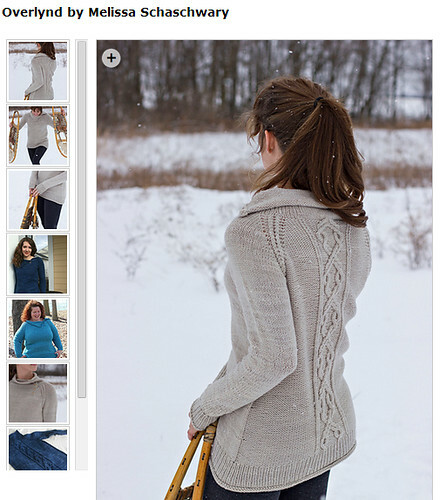 This looks like a great pattern to knit and wear. 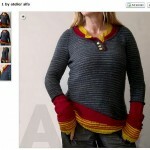 i have been casting on all the sweaters lately, haven’t i? i just haven’t found my groove but i think this may be the one? Nice pattern! I think you may have convinced me to get some more Vintage. It does have good stitch definition, right? i really like the stitch definition. take a look at the close up of the raglan seam and decide for yourself. 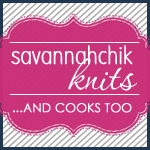 i like the way it knits up and love the easy care of it too. 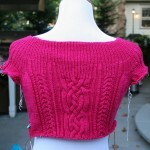 since i haven’t finished a garment in Vintage yet i can’t say how well it wears, but i have read good things about it. which weight are you thinking of getting? I need to pick all my yarn with pub knitting in mind! Oh that is going to be beautiful! thanks! of course, i’m only half a skein in so i have quite a bit left in front of me. I prefer kfb, too, but you were right to go with the m1 ~ it’s so incredible how seemingly little decisions make such great differences. Gorgeous WIP! i really don’t enjoy m1 but in this case, i’ll gladly do it. it’s so pretty on the raglan lines. 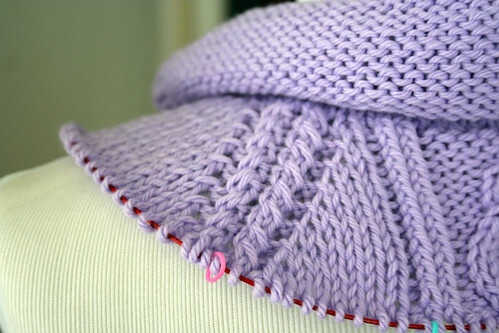 I’m with you on minimizing the amount of purl. 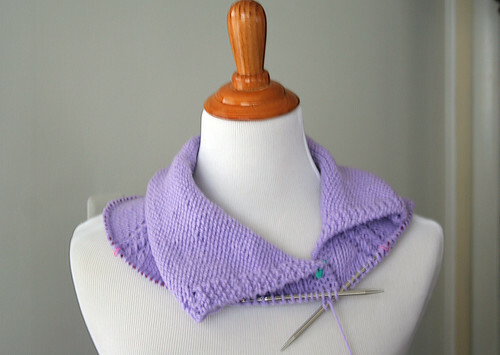 For the right project, I’ll go through the motions of purling, but if you can make it a knit, I say, Why not? i’m SO with you! 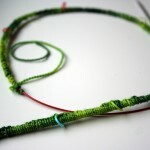 i was just knitting on overlynd for a bit and was thinking how glad i am to have to do almost no purling. yeah! What a fabulous pattern. I do like a nice cabled jumper or cardi. It just screams autumn/winter.